THANK YOU FOR YOUR INTEREST – THIS WORKSHOP IS NOW FULL! No prior knowledge of Astrology is required to participate. Use your personal horoscope to reveal the meaning of the Asteroid Goddesses in your life. 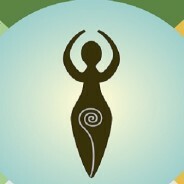 Awaken your Inner Goddess and begin to live your life through the grace and authentic power of the feminine. Men are embraced and truly welcomed in this workshop as the feminine is awakening and seeking balance within each of us. What does the political circus and the Asteroid Goddesses have in common? A renewed focus is being placed on women in our society and how they are treated within the patriarchy. The ancient Goddesses Ceres, Pallas Athene, Juno, and Vesta show us how to reclaim power, recognition, justice, and equality in our individual and collective lives. individual I will only be accepting 12 participants for this workshop. 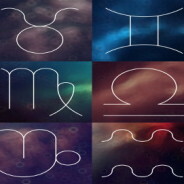 Archetypes and myths of the twelve zodiacal signs, their ruling planets and house associations. Elements, modalities, and planetary retrograde interpretations in the horoscope. Eclipses: the points of Destiny. Planetary aspects utilizing the 360 degree archetypal zodiac. All classes are recorded! Slides and MP3 file recording will be sent to students following each class. full payment is required by first class. SPRING FULL MOON ECLIPSE CEREMONY! Posted by Linda Kaye on Mar 2, 2016 in Ceremonies, Events | Comments Off on SPRING FULL MOON ECLIPSE CEREMONY! Learn about the Astrological significance of the Spring Equinox and the influence of of this Libra Full Moon Ecplise. Open Sacred Space in native tradition and integrate the wisdom of this magical and cosmic time during a ceremonial drumming circle. Bring your friends, drums, rattles and blankets! Posted by Linda Kaye on Mar 1, 2016 in Ceremonies, Events | Comments Off on PISCES SOLAR ECLIPSE CEREMONY! Solar Eclipses create the potential for huge personal and planetary transformations and New Moons intensify the energy of creating a vision. 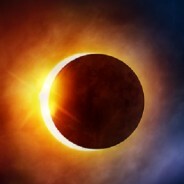 This Solar Eclipse and New Moon occurs in the “sacred” sign of Pisces, enhancing the oppotunity to align your intentions with your divine purpose! Join us in ceremony as we reveal the mysteries of our Sacred Self. Astrologer, Linda Kaye will explain how Eclipses are potent times to create “personal shifts” aligned with your Divine Nature and how to integrate them. 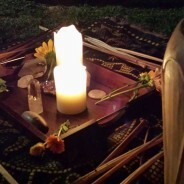 Shamanic Healing Practitioner, Mariscela Alvarez will lead you into a self-journey to deepen your connection with your Solar Light. A drumming circle will follow. PLACE: Holistic Light House: 401-B Vernon St.
courtesy of Amy from our January Workshop! Set Clear intentions of what you want to manifest according to your highest good. Choose meaningful images that represent what you want to experience, achieve or become. Focus on “What” you want rather than worrying about the “How” to get there! Break through unconscious limiting beliefs and expand your horizons by giving life to your dreams! We will supply your board, glue, and many magazines for you to create with. 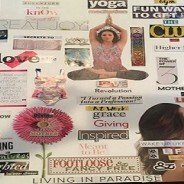 wish to create your Vision Board with. VIRGO FULL MOON PURIFICATION CIRCLE! Posted by Linda Kaye on Feb 12, 2016 in Ceremonies, Events | Comments Off on VIRGO FULL MOON PURIFICATION CIRCLE! Every Full Moon represents an energetic peak, which shines a powerful light on whatever is coming full-circle in our Life. This Full Moon in the sign of “Virgo” will prompt us to purify and integrate our body, mind and spirit as a practical, empowering process of inner work and self-adjustment. Open a Sacred Circle to honor the light of the Moon. Learn the Astrological Significance of this Full Moon in Virgo. 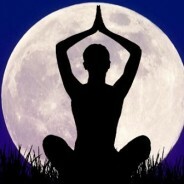 Invite the light of this Moon to purify your body, mind and Spirit. Connect to the universal consciousness through the Beat of the Mother Drum. Did you know that your partnership compatibility is not just about Sun-signs? Venus, Mars, Mercury – as well as the Moon and Jupiter are just as important as your Sun-sign in relationship compatibility. Join Master Astrologer Linda Kaye as she explains why. This will be a fun and engaging talk where Linda will speak about Relationship Astrology and how it can illuminate your partnership dynamics and enable you to love consciously. Aquarius is the celestial sign that bestows the universal cosmic waters onto humankind and our planet. Although Aquarius is an air sign, it is known as “The Water Bearer” and this connection through the healing element of water symbolizes an ability to spread its cosmic gifts of giving and restoring life to humanity. Set intentions for the Aquarian winds of change to blow, and for its cosmic healing waters to instill the “wisdom of awareness” into your life. Join us in ceremony to experience this lunar event with Astrology & Shamanic Drumming! 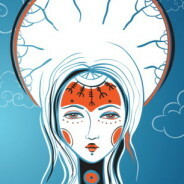 ♦ Linda Kaye, Astrologer, will talk about the Astrological significance of this New Moon in Aquarius. 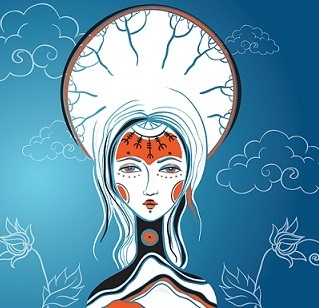 ♦ Mariscela Alvarez, Shamanic Practitioner, will lead you in a Drumming Circle to integrate the wisdom of this lunar event with the heartbeat of the Mother Drum. Bring your friends, drums and rattles! 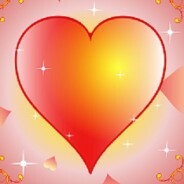 Sacred Ceremony to nurture our hearts and cultivate its courageous potential. Bring your friends, drums, and rattles!